This combination of house and cottage gives you all the space you need for the perfect holiday with friends and family. Join together for communal meals on the large SW facing deck and enjoy the views all the way back to Auckland or cosy up in the large dining area, on those blustery days, with the gas fire. You can escape to the cottage for some peace and quiet while the children play safely amid the luscious bush and birdsong. Or create your own moments of romance away from the madding crowds! Just a 5 minute stroll away is Little Oneroa Beach. Two kayaks on wheels are yours to explore the headlands of the bay. A 15 minute walk will take you to bustling Oneroa village where you can enjoy cafes and restaurants, art galleries and the numerous shops and entertainment venues that make it a fun place for the whole family. Wind down with some of the island's world-class wines as you gaze across the panoramic vistas of Oneroa Bay or take your favourite local wine back to your homes from home and spoil yourself as you soak in your private spa. Nestled in native bush and birdsong, this is the perfect place to relax and rejuvenate. 5 min walk down to Little Oneroa Beach - well known for the dragon-fired pizza cart, Little O dairy with its excellent flat whites and the Little O Fish n Chip shop. Also there is a playground with community BBQs for use. A safe swimming beach for little ones. 20 minute walk into Oneroa village, with cafes, bars, art and gift shops, banks, the post office, gas station, Information centre, cafes, restaurants and bars including: The Oyster Inn, Sand Bar, Fenice, Wai Kitchen, The Cove, The Red Crab, Vino Vino, Oneroa Beach Club and Oceanview Fish and Chips. The village also includes various Art Centres, a Four Square superette, Fruit and Veg shop and 2 liquor stores. Oneroa village has ATM machines. An 8-10 minute drive takes you to the car ferry located at Kennedy Point and a 4 minute drive to the passenger ferry located at Matiatia. Rates apply for up to 6 people. Extra people are $50 per night each. Min 2 night bookings required. Min 3 night bookings over long weekends. 1 night bookings available: Nightly rate + $200 - on request. Stayed for a long weekend on Waiheke and this place was everything we needed. The cottage is cute, but mainly used it just for the extra bedrooms and bathroom. The lounge and kitchen in the main house had everything we needed. 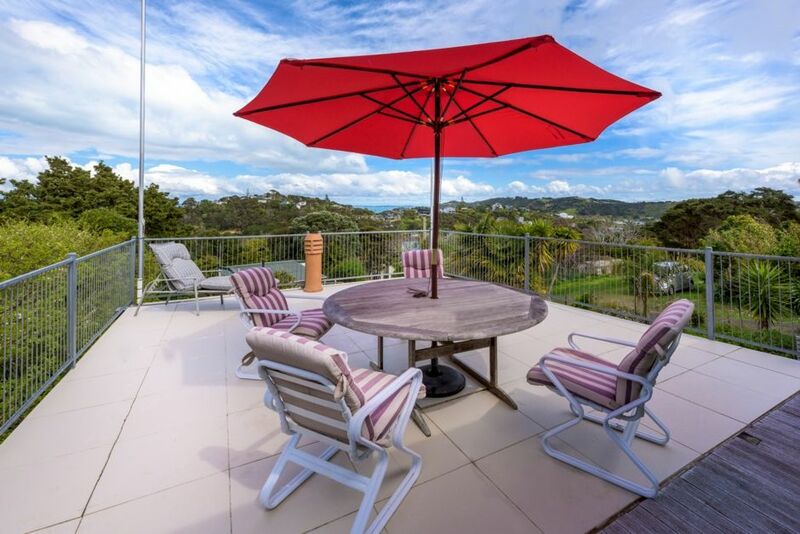 Centrally located and close to Little Oneroa beach.